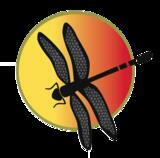 This course of instruction is offered through Dragonfly Release. The cost for First Degree training is $230 (+HST), comprising 170 page manual, audio commentary & guided meditations (all on a Flash Drive), with ongoing support following completion of your studies. A non-refundable deposit of $ 115.00 is required to hold your seat. Everyone’s experience of Reiki will be different and there are many styles of Reiki being taught today, many of which bear little resemblance to the original teachings of its founder, Mikao Usui. Jeff Phillips is a fully qualified Reiki Master/Teacher, having received his training from Reiki Evolution in the UK. At Dragonfly Release our teachings closely follow the material developed by Taggart King, the founder of Reiki Evolution. This is a very simple, uncluttered style which is easy to follow as you take your first steps towards bringing Reiki into your life. We recognise that everyone learns in different ways and at a different pace. To this end initial training is undertaken at your own pace in your own home using a detailed manual and other media as study aids – provided on flash drive. As your Reiki Master/Teacher, Jeff will be available to you during this time via email, and telephone if appropriate, should you have any questions about your learning. You will arrive at the practical training with already knowing much of the theory behind the Usui method of Reiki. This will help ensure you gain the most from your practical training. The manuals and media are yours to keep so that you may refer back to them after your practical training. Following the practical training you will be invited to contact Jeff and secure your personal 21 day support package to help you establish your own daily Reiki routine within your life. Reiki is simple to learn and anyone can learn it. Reiki is not a religion and it is practised by people from all walks of life. On an introductory “First Degree” course you will be connected to the energy (‘attuned’) and learn how to use Reiki for your own benefit and for others. You will also learn a simple set of ‘rules to live by’ set down by Reiki’s founder Mikao Usui. At the end of the course you will receive a certificate of completion and then your own Reiki journey will truly begin. Like anything else you learn you will get out of Reiki what you put into it. So if you want to gain a deeper understanding you will want to begin to establish a daily routine that will incorporate Reiki into your life. Dragonfly Release can help you do this so you will not feel alone after you have completed your First Degree training.